This matcha bowl has a wonderful asymmetrical shape. 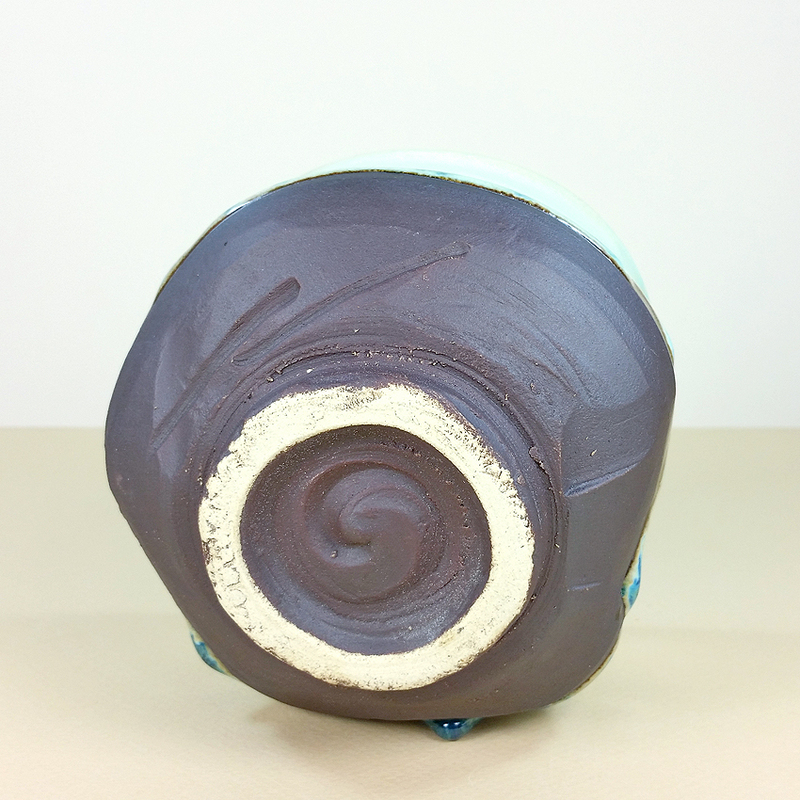 The rough-hewn base is coated with a beautiful matte brown glaze and is powerful to the touch. 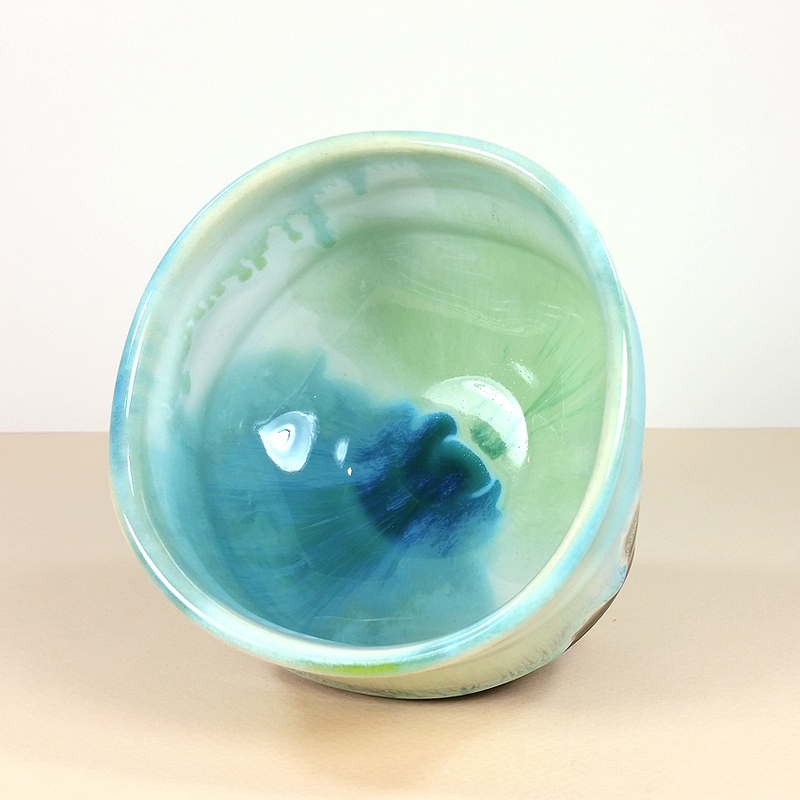 The bowl’s upper walls and interior are glazed with a stunning flow of milky blue, green and white. 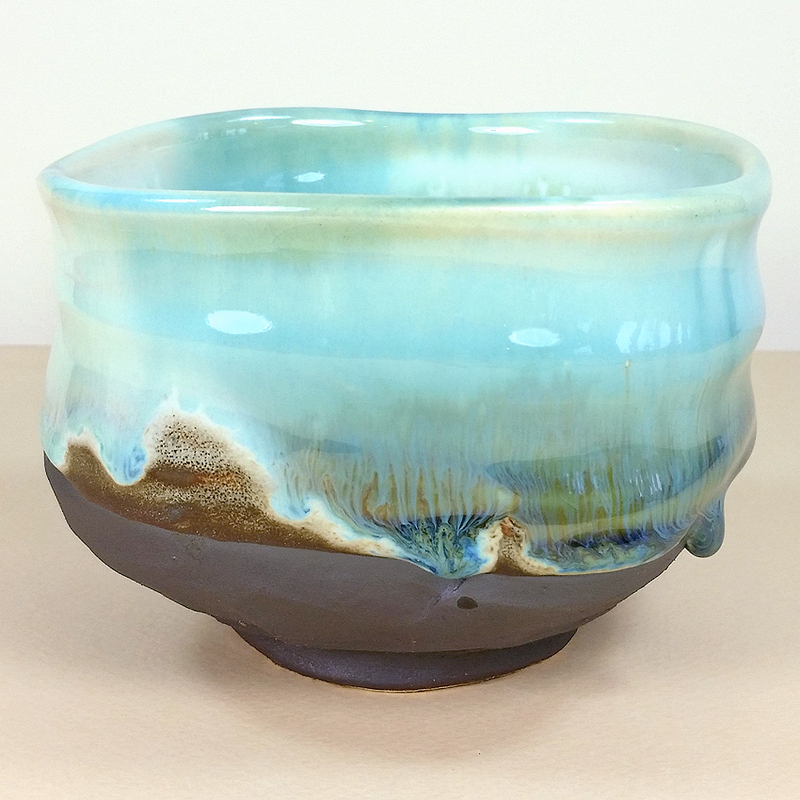 The interplay of colors is exceptionally striking on the bowl’s interior, while the exterior is busy with its strong angles and complex play of textures and colors. 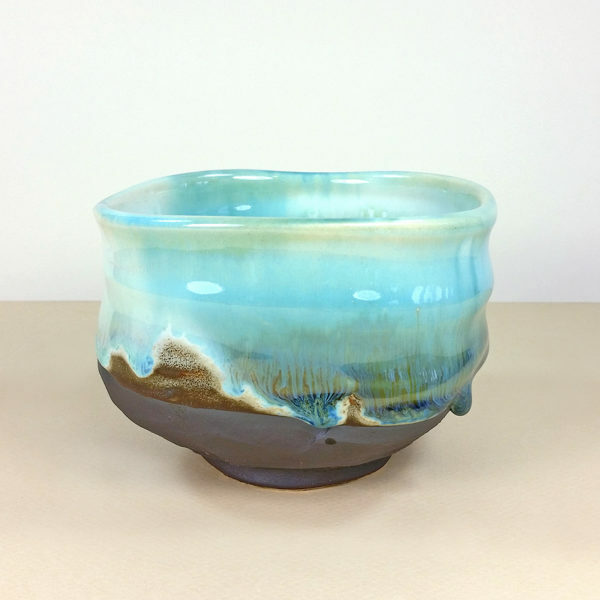 There are many places on this bowl from which the lucky user can sip the tea. And in the Japanese tradition, the group of tea drinkers in attendance will find it easy to talk at length about the potter’s creativity and learned execution of such an ornate motif. 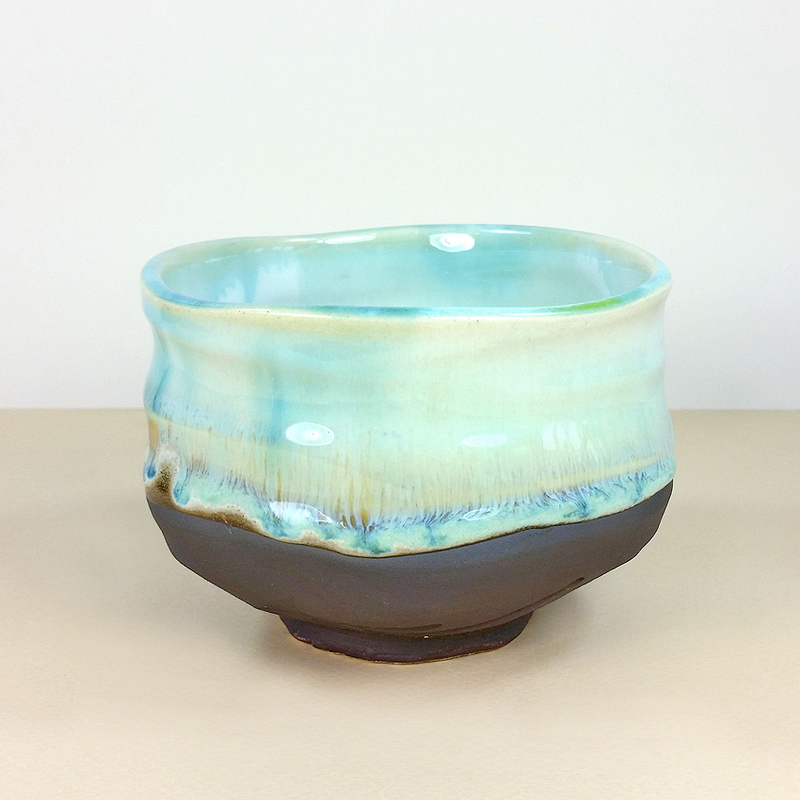 This chawan is definitely for the tea drinker who is not afraid of color and complex visual interest!